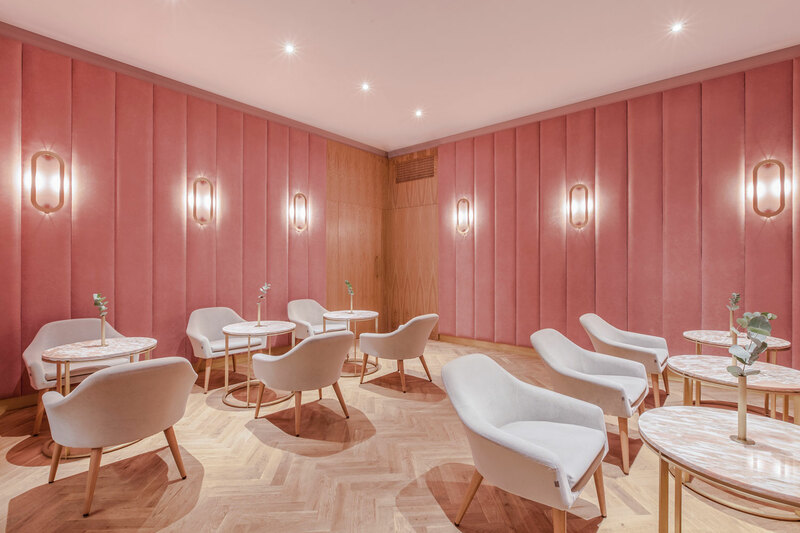 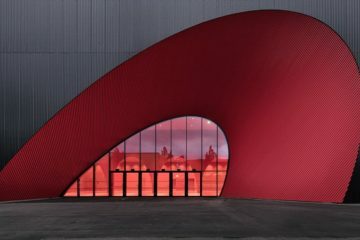 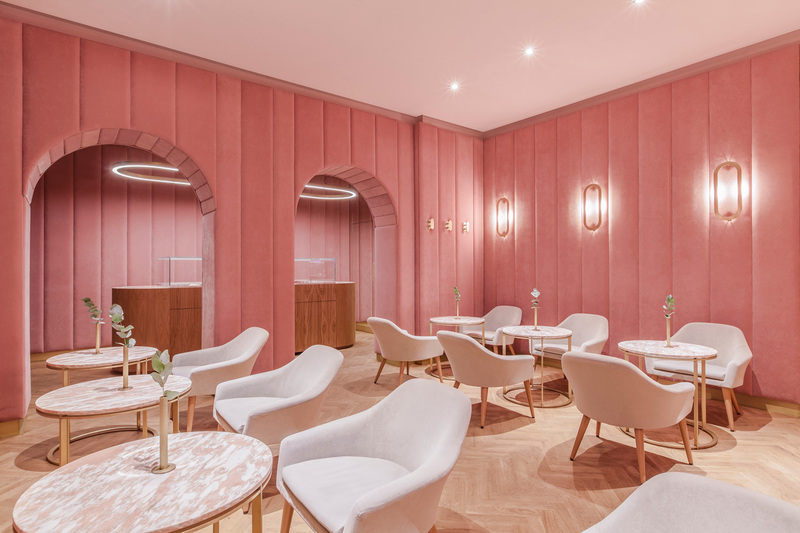 NANAN Patisserie by BUCK.STUDIO is a modern patisserie in Wroclaw, Poland, for a dreamer with a sweet tooth. 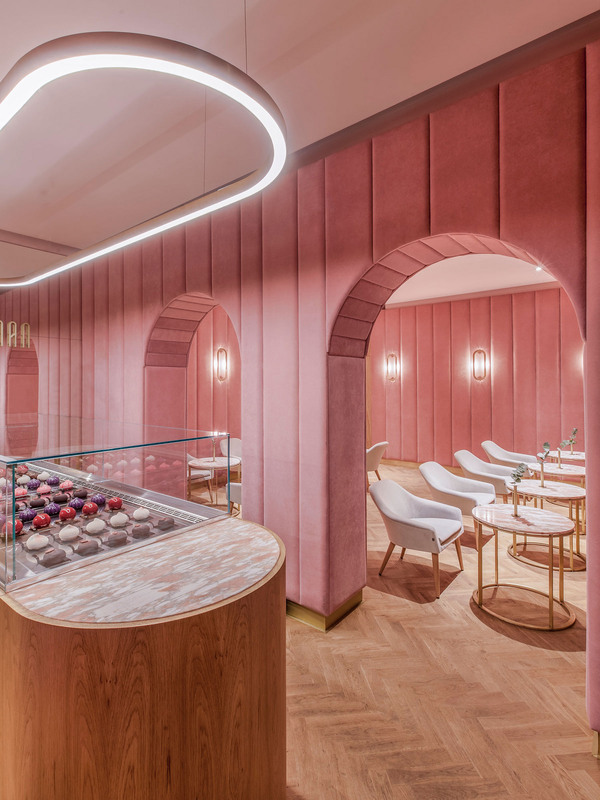 Nanan means sweetmeats in French and sweets play the leading role in this signature design of a modern patisserie. 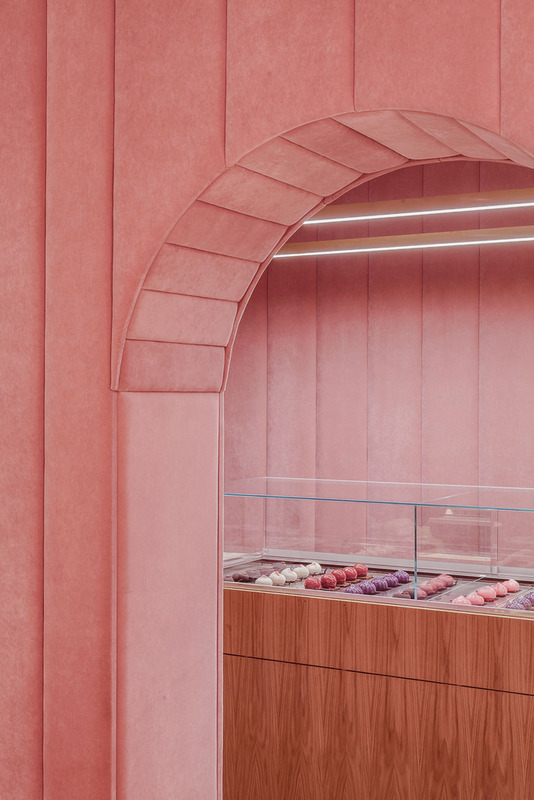 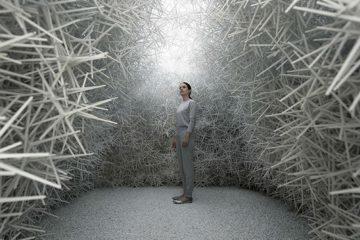 The deliberately minimalist interior provides a subtle setting for the protagonists: finely decorated sophisticated cakes and éclairs made with meticulous care. 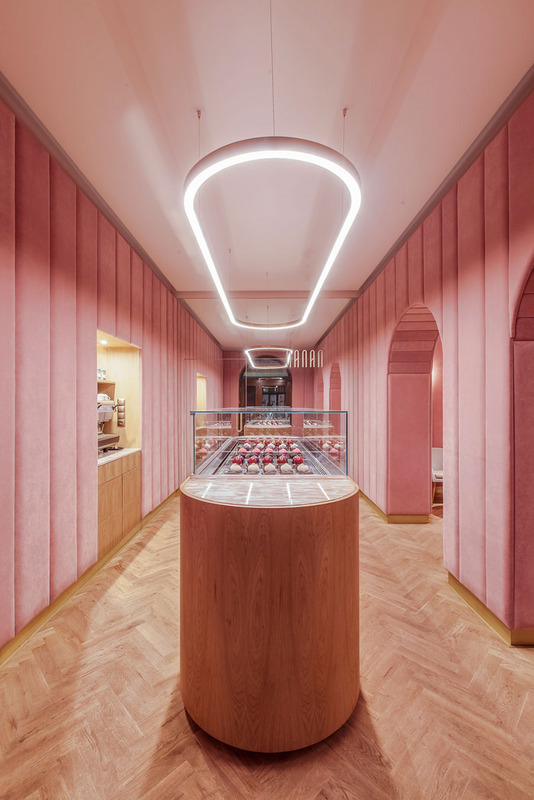 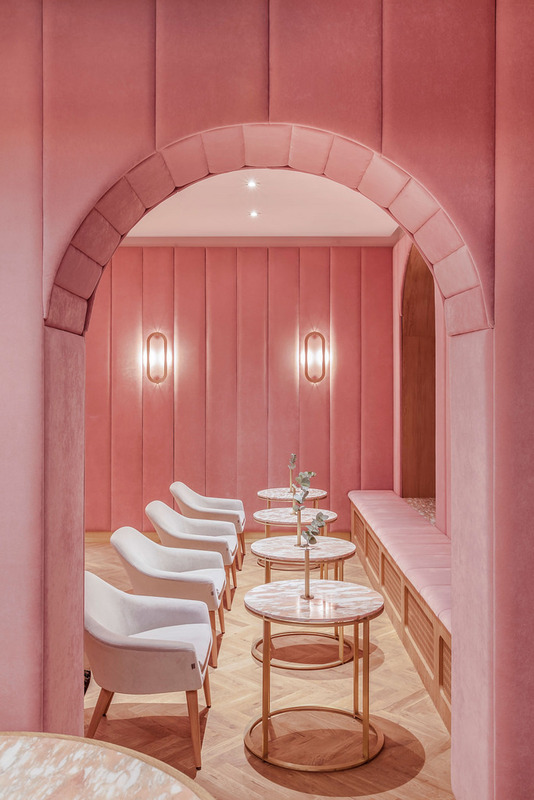 The speciality of this patisserie, the éclair, has inspired the interior design and the visual identity of Nanan.